BMW stuck to a conservative profit forecast as CEO Harald Krueger seeks patience to push through a transition to self-driving, electric cars. While rival Daimler upgraded its target to a “significant” gain in 2017, BMW kept its goal of a “slight” increase in earnings, according to a statement from the Munich-based company. BMW will focus on its higher-end models in coming years, including a new X7 SUV, as it covers the steep costs of developing vehicles of the future. 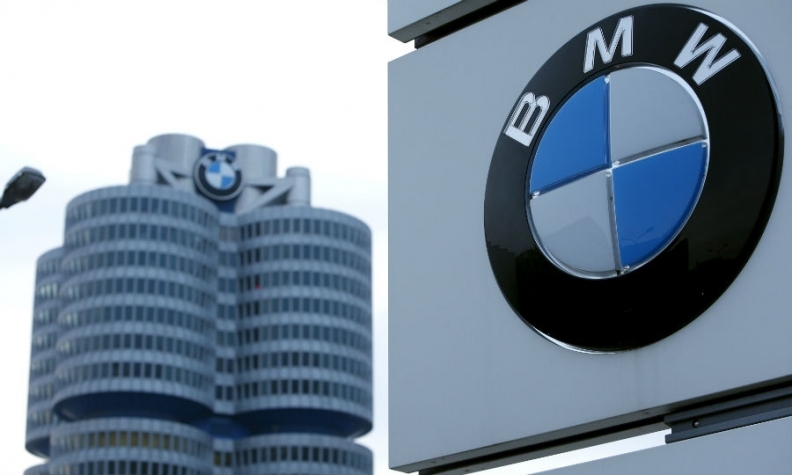 Weighed down by rising expenses, BMW has maintained a cautious approach even after Daimler’s Mercedes-Benz surged past it in sales last year for the first time in more than a decade. The first steps of BMW seeking to fight back were evident in March, when Krueger outlined plans for 40 new and revamped models. The offensive includes the X2, a compact SUV scheduled for 2018, as well as the full-size X7. Selling more of the lucrative SUVs and top-of-the line sedans -- alongside the revamped bread-and-butter 5 series -- is vital as the manufacturer aims to boost profitability. BMW’s new flagship, the self-driving electric iNext, is due for release in 2021. Research and development costs jumped 35 percent to 1.32 billion euros during the quarter. That hurt the automotive return on sales, which fell to 9 percent from 9.4 percent a year earlier. Unlike its competitors, BMW has chosen to add electric powertrains to existing models rather than design specific e-cars. The company says that approach puts it in a good position to react to changes in demand, as consumers to date haven’t shown much enthusiasm for the green technology. Thursday’s figures confirmed preliminary results published in April.